It was Mississippi at its best while Mississippi was at its worst. 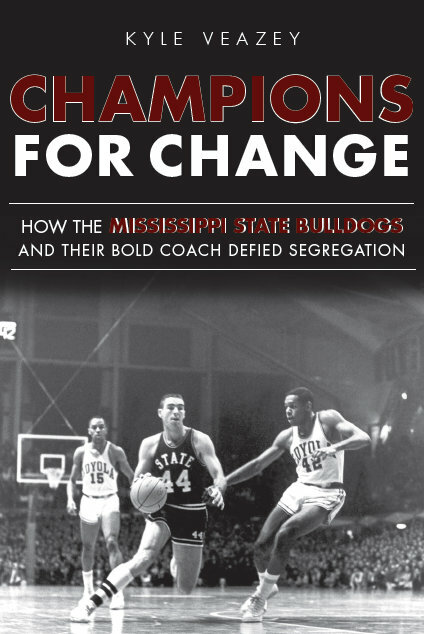 “Champions for Change: How the Mississippi State Bulldogs and Their Bold Coach Defied Segregation” (The History Press, October 2012) is the first book on the Mississippi State basketball teams from the late 1950s and early 1960s that dominated Southern college basketball. The teams’ early dreams of success on the national stage, though, were squashed by a peculiar custom: Mississippi college teams, thanks to what was termed an “unwritten law,” could not play integrated teams. Take the 1959 Mississippi State team, which won 24 of its 25 games, was ranked No. 4 in the country, and had one of the best players in the nation in Bailey Howell. When the NCAA tournament started, it sat at home. Same with the 1961 team, which won 19 games. And same with the 1962 team, which, once again, won 24 out of 25 and was ranked among the nation’s elite. Three times, Mississippi State teams led by the colorful, self-made head coach Babe McCarthy won Southeastern Conference championships in the era of Kentucky and Adolph Rupp’s dominance. Three times, they stayed at home during the NCAA tournament. Then came 1963, when Mississippi State won its fourth SEC title in five years. Five months after the nation’s attention was focused on the violent struggle to enroll James Meredith at the University of Mississippi, Mississippi State president Dean Colvard decided to defy the establishment. He chose to send the team, sparking two weeks filled with drama as the Bulldogs prepared to leave and the state reacted. It came to a head the night before the team’s plane was to arrive to make the trip, as a sheriff’s deputy drove from Jackson with an injunction ordering the team to stay — and as Mississippi State officials clandestinely huddled to determine what to do. On the occasion of the 50th anniversary of that historic 1962-63 season, my book attempts to capture the drama of that night. But it also tells the story of the entirety of that lively era in Mississippi State basketball, relying on over 25 interviews of former players and other contemporaries and scores of hours of primary source material research. 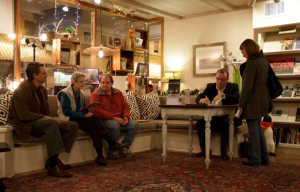 To purchase a copy, visit your local independent bookseller. For inquiries, contact me here.